This is one of the most iconic fashion forward designs by Tom Ford. 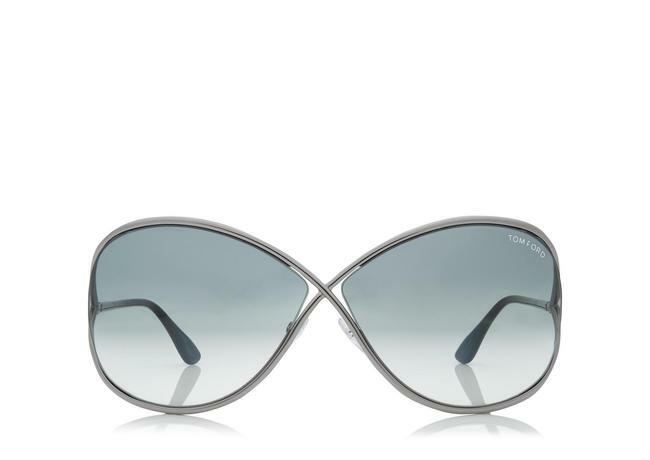 These are the original Tom Ford Miranda oversized soft square sunglasses in a shiny gunmetal tubular temples and cutaway lenses. These are a must have for all women trying to take their look to the next level. Made in Italy and 100% UVA/UVB Protected. Try these on right now only on ViewTry.